Until now, managing your underarm issues and the negative impact on your body, clothing, and self-confidence has been messy, time-consuming, and costly. Now there is a solution! 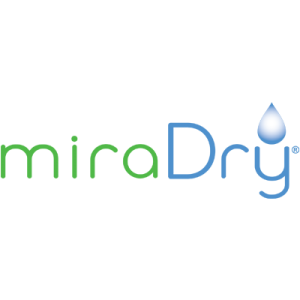 miraDry® is the first and only non-invasive treatment to permanently reduce sweat and odor in your underarm area. Imagine a lifetime of freedom from the worries of visible sweat stains ruining your clothes or having an embarrassing sweat breakout during a personal or professional encounter. FDA-cleared and CE marked, the miraDry treatment is done in the comfort of your doctor’s office and is quick-taking only about one hour. After your treatment, you can expect to see immediate and lasting results.